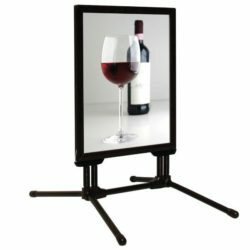 The larger the display, the more noticeable is your brand! 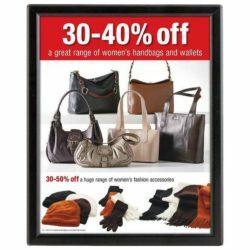 If you are looking for a large sign frame to distinguish your message then you are in the right place: Displays Market is one of the leading display suppliers with a variety of styles and sizes. 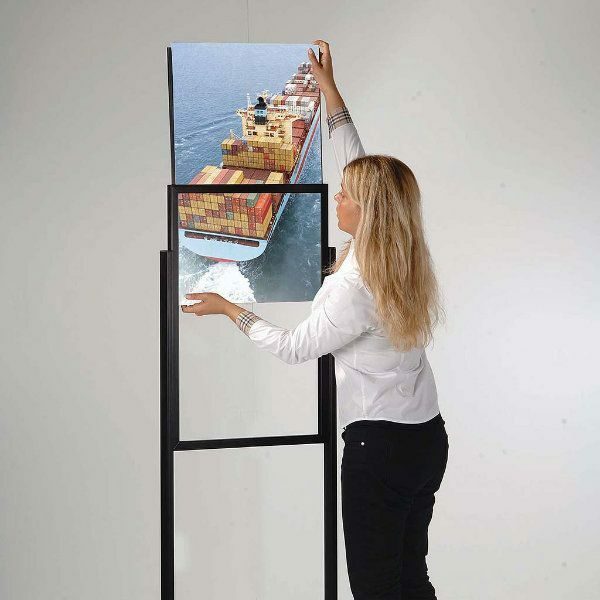 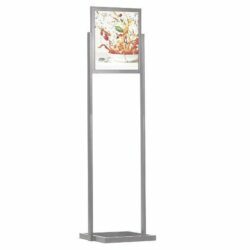 This poster display stand is one of our most popular designs offered in 24″ x 36″ size. 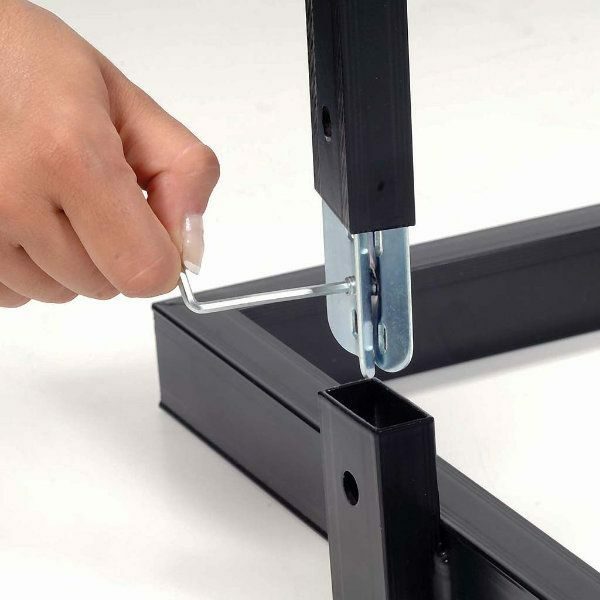 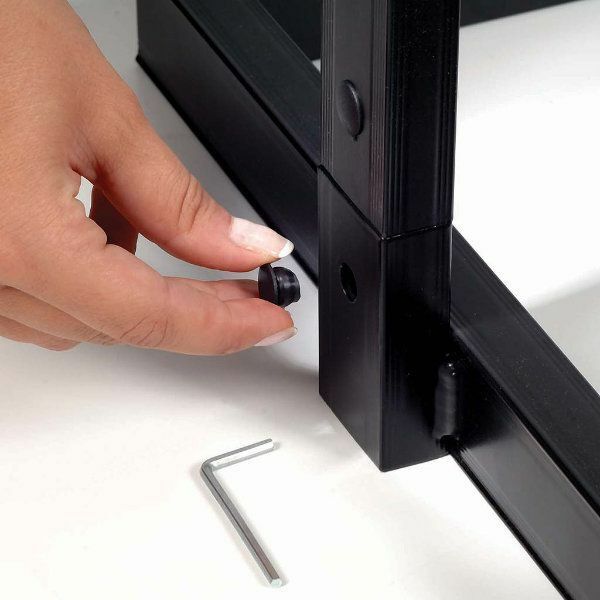 Shipped unassembled, it requires minor assembly with the two phillips head screws to secure the base to the body. 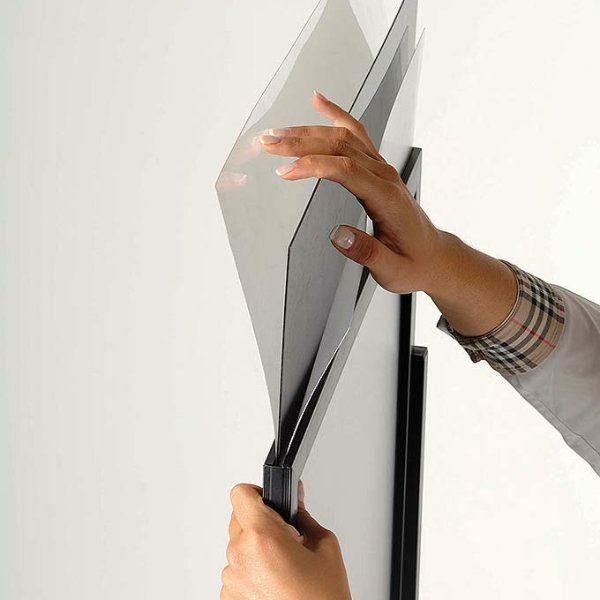 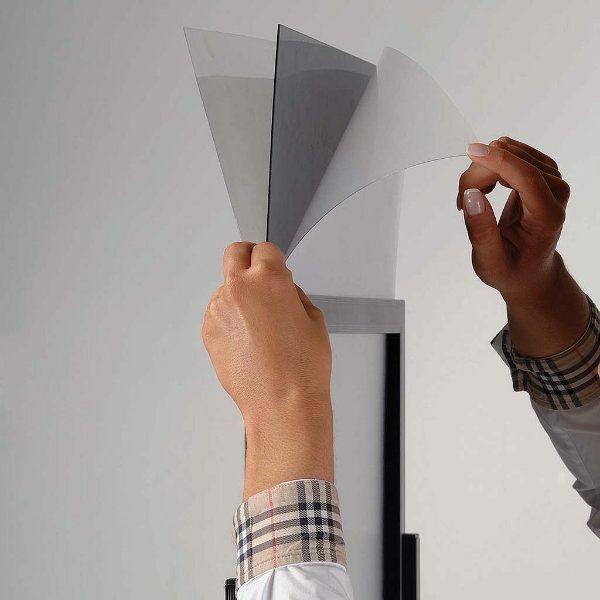 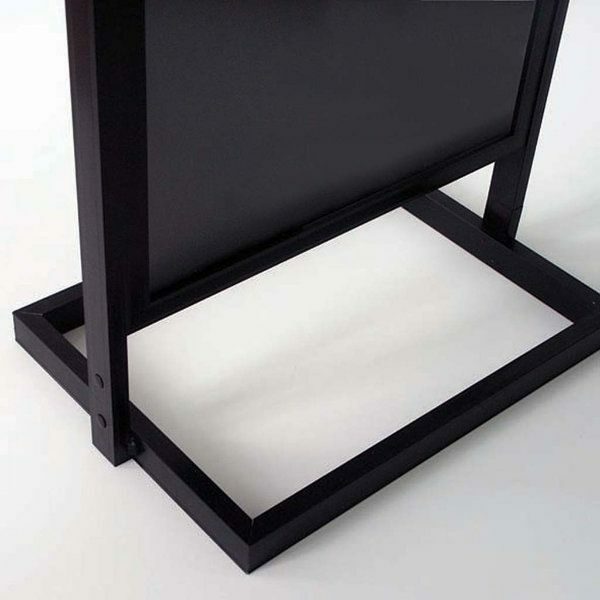 The aluminum body of the poster display stand is durable and has a satin black finish. 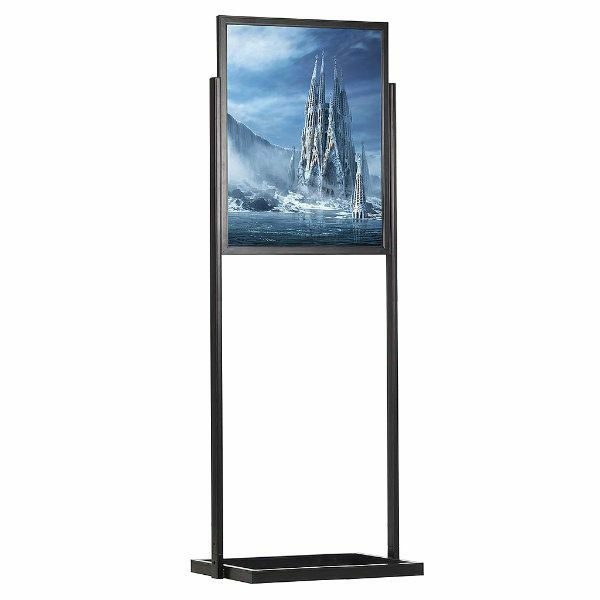 This sign stand is perfect for larger size 24″ x 36″ prints and holds two posters back-to-back ensuring higher brand appearance. 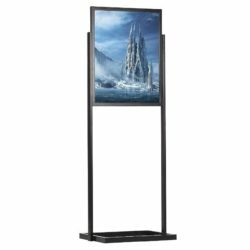 Insert your 24″ x 36″ posters against the provided middle support panel in between two supplied non-glare lenses to protect your graphics. Then slide them all into the metal grooves of the display. This load and unload system doesn’t require any tools. 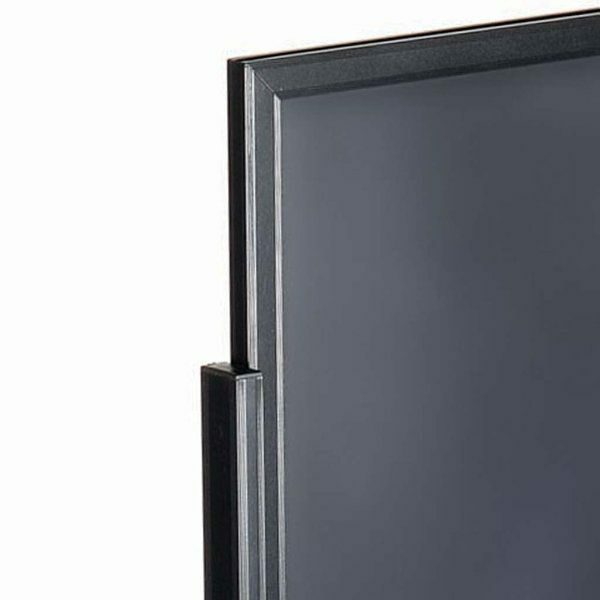 This sign frame is in stock and ready to ship. 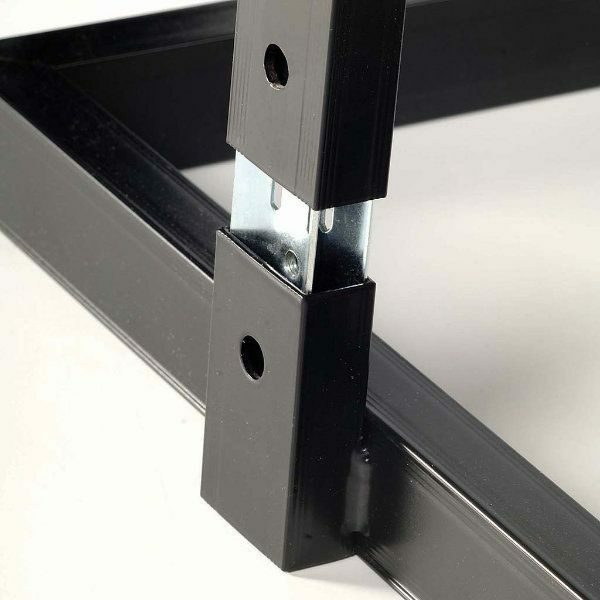 Solid and heavy. 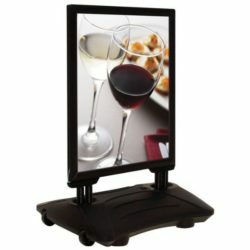 These will hold up for years in any indoor setting.